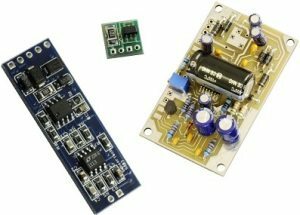 Preamplifiers & Electronics | Sensor Technology Ltd. Preamplifiers & Electronics | Sensor Technology Ltd.
Sensor Technology Ltd. offers an array of high performance hydrophone preamplifiers. Our preamps provide the matching network required for working with the wide ranging, dynamic impedance of piezoelectric devices and feature low noise and low total harmonic distortion. Gain ranges from 0 dB (buffer preamp) to 40 dB or more. Our hydrophone preamplifiers can be modified for your specific application. We can also provide custom transformers for acoustic / ultrasonic transducers designed specifically for transmitting. 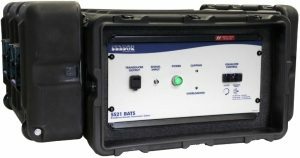 The Sensor Technology Ltd. Broadband Acoustic Transmission System (BATS) is a highly configurable, portable system small enough to be transported and deployed by one operator. The BATS drives a broadband Class III barrelstave flextensional transducer with a transmitting frequency range spanning more than 3 octaves (approx. 1.5 kHz – 15 kHz) and a maximum SPL of 204 dB (ref. μPa/V @ 1 m). Complete specifications and configuration options can be found on the BATS page.